Marvel Battle Lines is a new card game created as a collaboration between Marvel and Nexon. The game will feature hundreds of unique cards, with character backstories on each one. There will be an original single player story written by Alex Irvine, as well as real-time multiplayer battles. Marvel and Nexon have announced a new partnership to develop a new card game called Marvel Battle Lines. This won’t be the first mobile card game based in the Marvel universe, with the previous War of Heroes that was discontinued in 2016. This time, with a big name like Nexon taking the reigns, it’s likely to feature much more polish than the previous release. Marvel Battle Lines is a strategic card game that will feature fan favorite characters like Iron Man, Thor, Black Panther, and more. Some of the promo art has already been released, and it looks fantastic. Each of the cards can be flipped over in-game to learn more about that character’s background before unleashing them in battle. The official announcement also revealed that the game will feature a new storyline written by Marvel writer Alex Irvine. Beyond that, players can also relive iconic moments in special events with exclusive rewards. The game has both real-time single player and multiplayer battles. Players can collect super hero and super villain cards in the single player mode and craft a deck to take on their friends. Marvel is promising hundreds of unique cards, and there’s no shortage of material in the comic book giant’s catalog. Fans of obscure characters may finally get a chance to play them in an official title. It will be free-to-play, and knowing Nexon, it will likely feature some kind of gacha system of random character unlocks. This may not be popular with those new to mobile gaming, but at this point it’s par for the course. 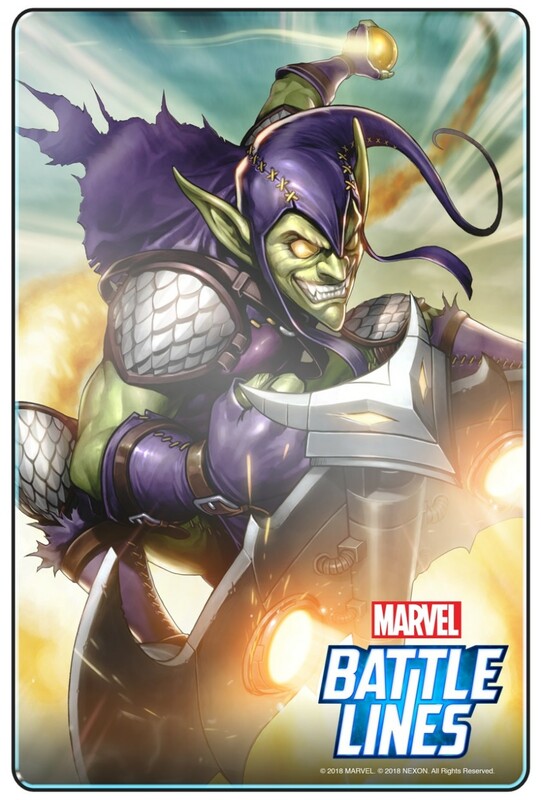 Are you excited about Marvel Battle Lines? Let us know in the comments!